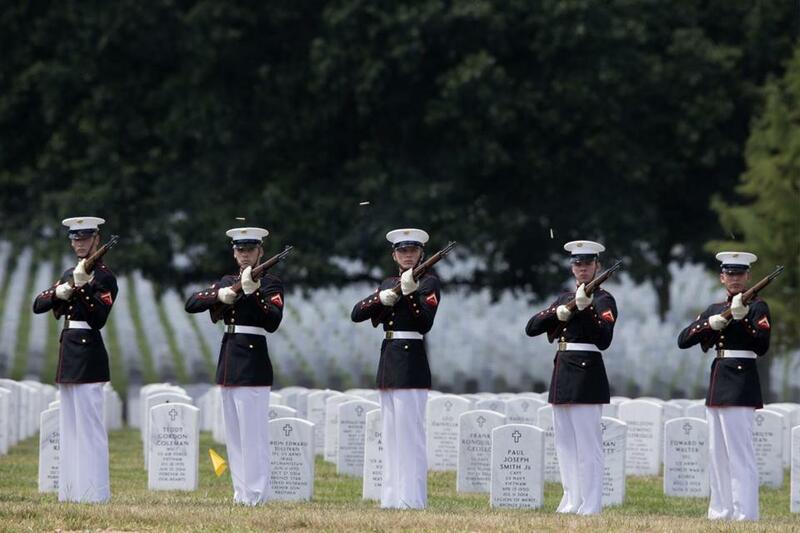 Marines fired three rifle volleys during a burial service at Arlington National Cemetery in August. The concept seemed so simple, so appealing, and so free of partisan poison that surely this was a measure Congress would approve quickly — a national two-minute moment of silence every Veterans Day. At least that’s what the Bendetson family of Weston thought when they proposed the idea in 2010. Now — after six bumpy years, 22 trips to Washington, and 652 meetings and conversations with federal officials — they’re finally on the cusp of achieving a goal that often seemed unreachable. A bill to establish the national observance has cleared Congress and been sent to the White House, where President Obama is expected to sign it into law. “This is like a minor miracle,” said Dr. Peter Bendetson, a dermatologist, as he shook his head and smiled. If signed, the act will call on all Americans to pause voluntarily for two minutes to honor the sacrifice of veterans throughout the country’s history. The quiet would occur simultaneously across the nation — 2:11 p.m. on Veterans Day in Boston, for example; 1:11 p.m. in Chicago; 11:11 a.m. in Los Angeles; and 9:11 a.m. in Honolulu. That hope took seed when Bendetson and his son Daniel, during a 2010 visit to Israel, saw that country come to a two-minute halt on Yom Hazikaron, the national day of remembrance. Daniel, then a high school student, turned to his father and asked if the United States could do the same. It should, came the answer. But as the Bendetsons soon learned — two other sons would also get involved — even the most laudable task can become an arduous adventure on Capitol Hill. “You would think it wouldn’t be this difficult, but we have passed fewer and fewer bills each session as Congress has become so polarized,” said US Representative Stephen Lynch, a sponsor of the bill, who predicted Obama would sign it. The White House did not comment Friday on the president’s plans. The road to Obama’s desk has been tortuous. The bill has passed the House five times since 2010, originally championed by Barney Frank, the former Massachusetts congressman. However, the full Senate did not vote on the bill until late last year. Other measures would surface as priorities, and the moment of silence would quietly disappear. 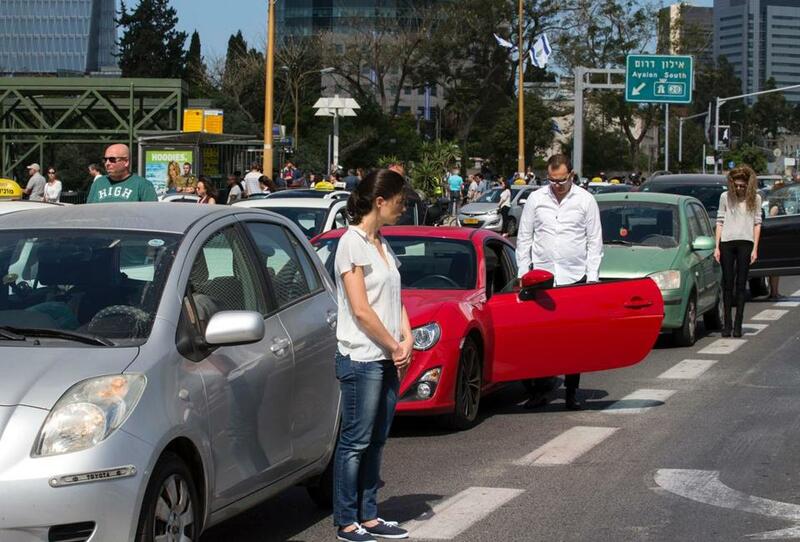 People stopped and stood in silence on a highway in Tel Aviv in May. Still, the Bendetsons persevered. Through all the starts and restarts, not one lawmaker — in either the House or Senate — ever cast a vote against the act. The Senate vote finally broke the dam, and the House followed with unanimous consent Sept. 27 to send the legislation to the White House. Peter Bendetson deflected the credit to his sons — Daniel, Michael, and William — who found a cause that inspired them and never let go. They learned to talk with congressmen, to feel their way through the legislative maze, and to find resilience after rejection — time and time again. The family found a guide through the legislative wilderness in Covington & Burling, a Washington lobbying firm that, through September, had devoted 743 hours of pro bono work to the effort. Some lawyers make close to $700 an hour there, which means the moment of silence probably received hundreds of thousands of dollars in donated time. Even if it takes six years and 652 meetings. 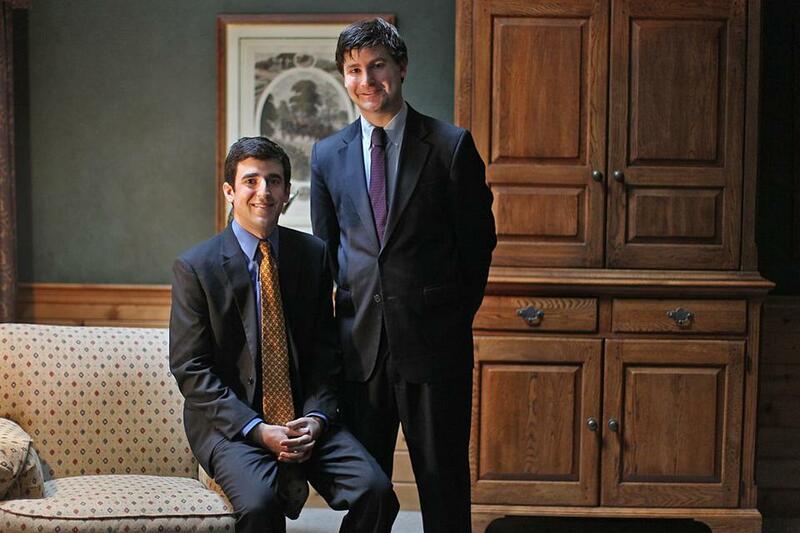 Brothers Daniel and Michael Bendetson have worked with their family since 2010 lobbying for legislation to establish a national moment of silence on Veterans Day.